is such a person who can not be used in any words. 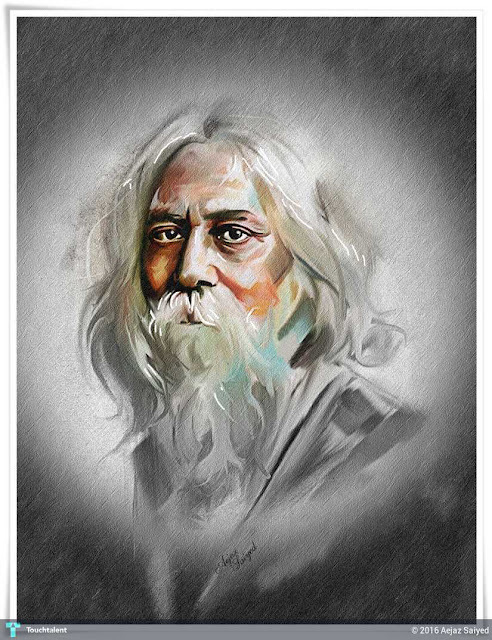 Rabindranath Tagore about whom to write or talk about them, words will be reduced. 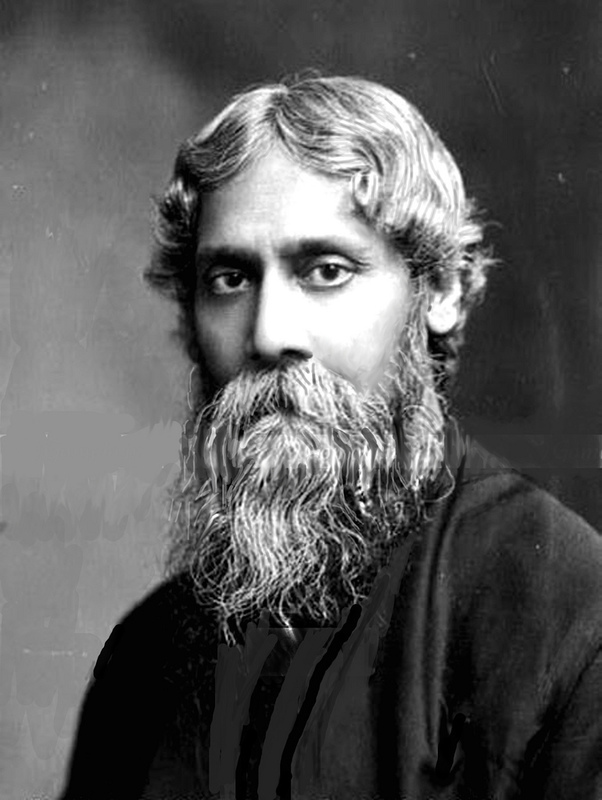 Prize motivation: "because of his profoundly sensitive, fresh and beautiful verse, by which, with consummate skill, he has made his poetic thought, expressed in his own English words, a part of the literature of the West"
Rabindranath Tagore is one of the proud sons of India who was the first one to receive the Nobel Prize for literature from Asia. This multitalented personality is a philosopher, poet, dramatist, painter, novelist, educationist and a composer. Challenging the conventional education system, he established an entirely new kind of education institution named Shanti Niketan. He had a great talent in painting and played a vital role in modernizing the Bengali art. Greatly moved by the Jallianwallabagh massacre and to express his deep reverence for freedom, he gave up his knighthood conferred by the British. These unknown facts about this inspiring personality might interest you greatly. 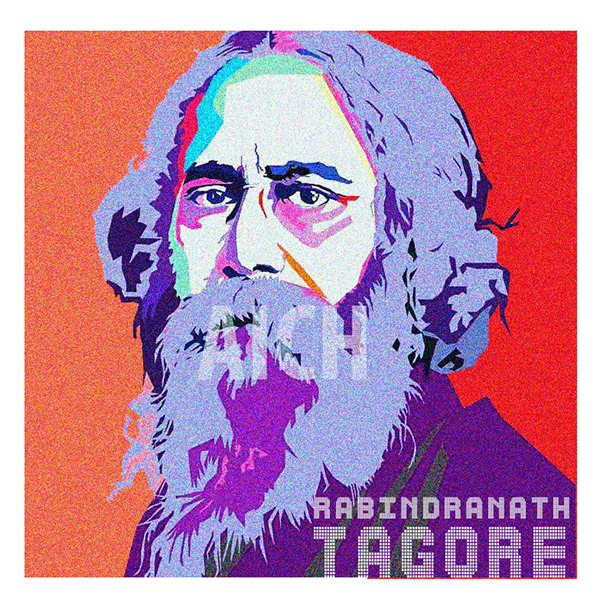 Rabindranath Tagore got the honor of Nobel Prize for his acclaimed poetical work called Gitanjali. Notably he was the first non-European to get this most coveted honor. In choosing him for this honor, the Nobel committee stated, “because of his profoundly sensitive, fresh and beautiful verse, by which, with consummate skill, he has made his poetic thought, expressed in his own English words, a part of the literature of the West". Today, three nations have honored Rabindranath Tagore by making his poems their national anthems. The world famed national anthem of India namely “Jana Gana Mana Ati Nayaka” is known to all. 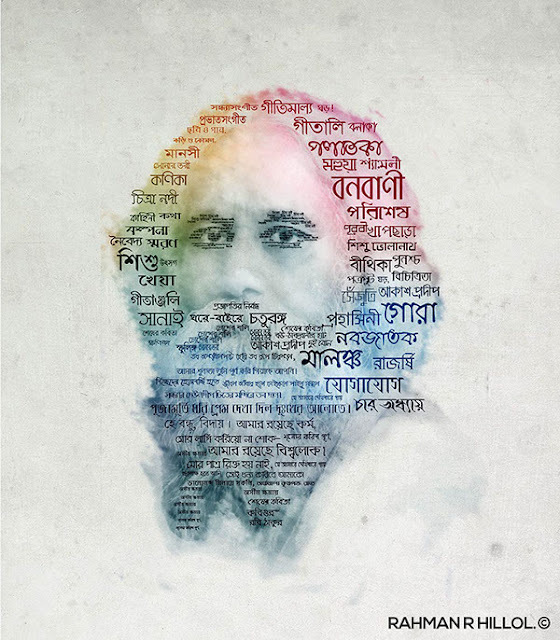 In addition, the Bangladesh National Anthem worded as “Amar Sona Banlga” was composed by Tagore. Over and above, the national anthem of Sri Lanka is fully based on a song composed by Tagore in Bengali, which was translated in Sinhalese and adopted as the national anthem in 1951. Tagore and Gandhi had a great love and reverence for each other. In fact, it was Tagore who conferred the title ‘Mahatma’ on the father of nation. 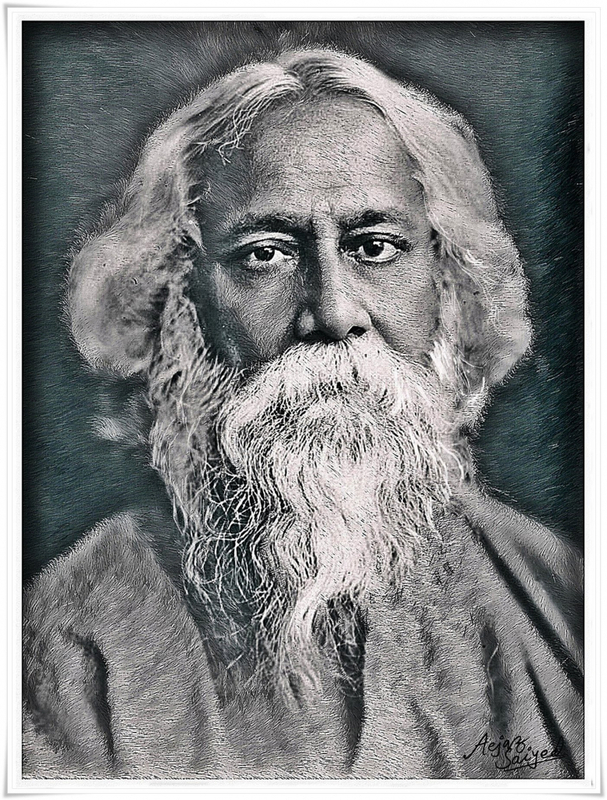 However, in several issues Tagore greatly differed from Gandhi. 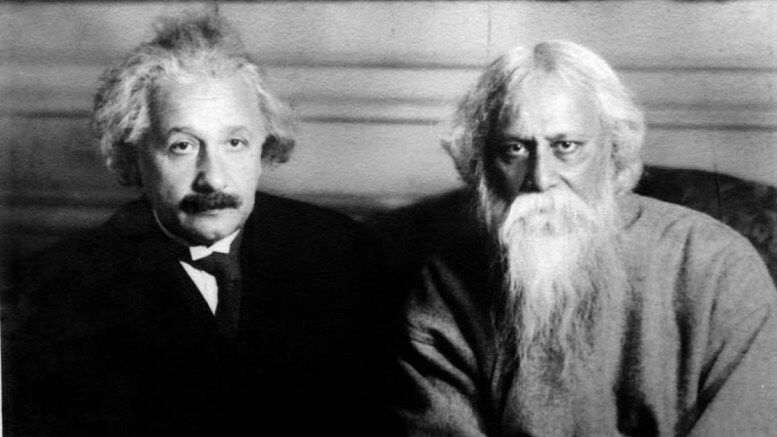 Tagore and Einstein met four times between 1930 and 1931. They revered each other moved by their mutual curiosity to grasp other’s contributions, their search for truth and love for music.